Passed away after only two days in freedom, what happened to her mother? Bożena Lutostańska arrived with the early morning ferry the 28th of April 1945 with her mother Alicja. 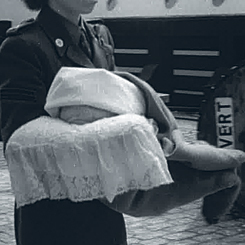 Bożena died just two days after their arrival in Sweden, she was only 28 days old. 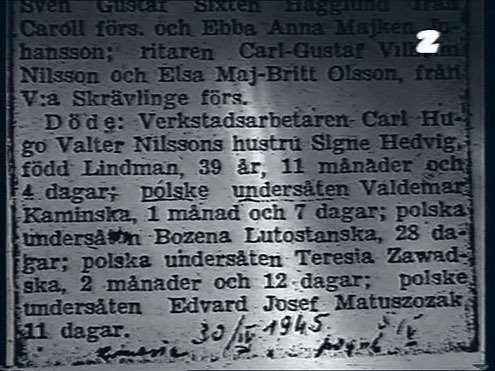 Her death was mentioned among others in a death notice in a Swedish newspaper. Bożenas mother moved back to Poland and was later part of a polish tv-program where she talked about her experiences from the war and the loss of Bożena. If you would like to add information to Bożena Lutostańska’s story we will be very happy to hear from you. Please write an email to our researcher Sebastian. If you can help us with further information about Bozena Lutostanska we will be very happy to hear from you. Please write an email to our researcher Sebastian. 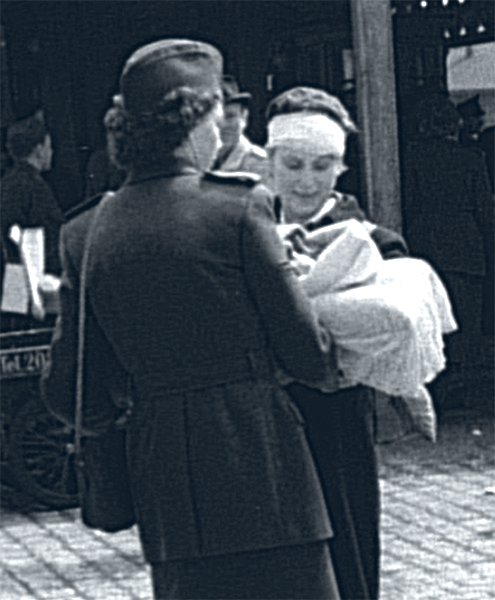 Bożena with her mother Alicja in a white head bandage. Bożena died the 30th of April, just two days after she arrived in Sweden with her mother Alicja. She was only 28 days old. Her death was mentioned in a Swedish newspaper. 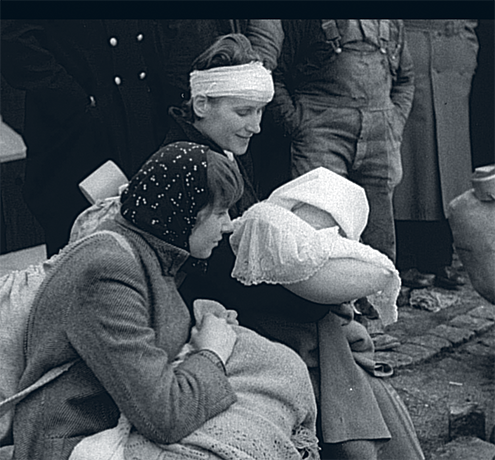 Bożena with her mother Alicja and a Red Cross nurse. 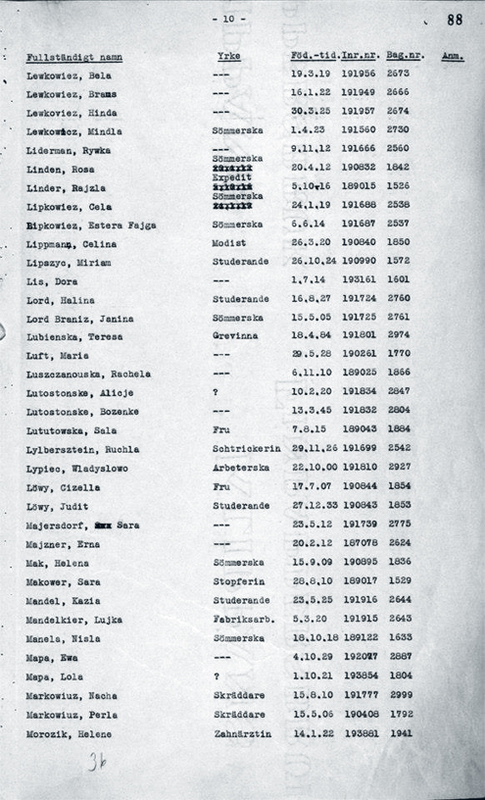 Passenger list from the 28th of April, 1945.